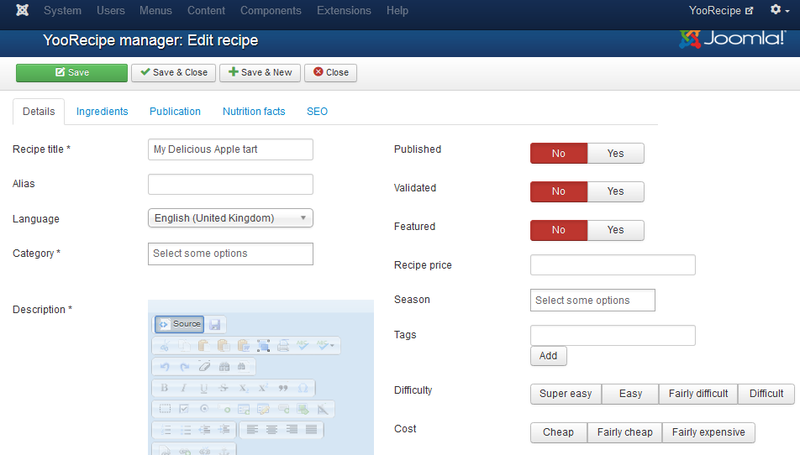 Learn how to create an NS Recipe item. Creating a recipe is pretty straightforward. 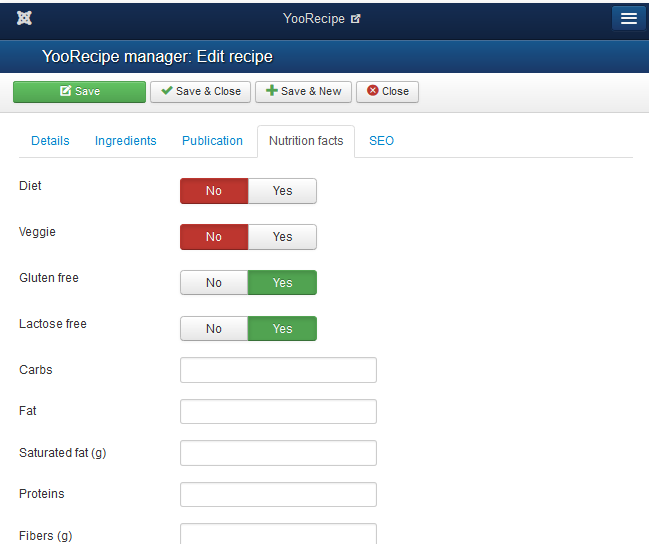 In the back-end, recipe form is spread over 5 tabs. Each tab is detailed below. 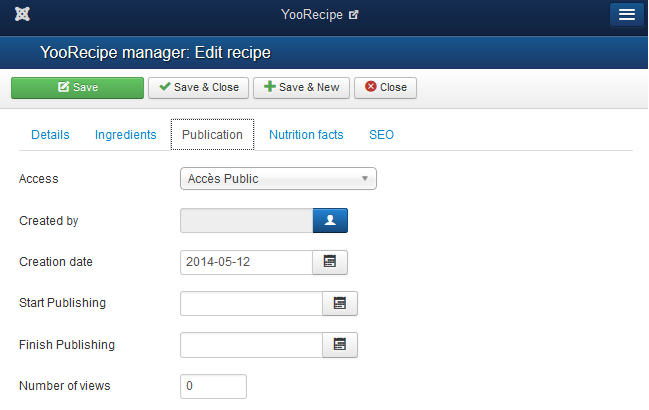 Recipe's main information (title, description, preparation, categories, status, tags, preparation time, difficulty, picture, etc. Recipe ingredients, grouped by ingredients groups. 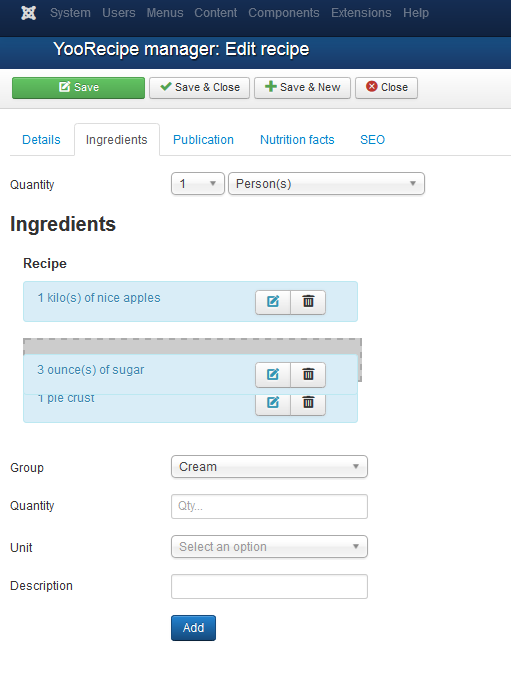 Tip: Ingredients can be ordered using drag and drop. Access level, creation date, publish up, publish down, number of views, etc. Diet, veggie, gluten free, lactose free, carbs, fat, etc. Only taken into account if nutrition facts are used. See NS Recipe's main features for more information. Tip Recipes can be copied from back-end.